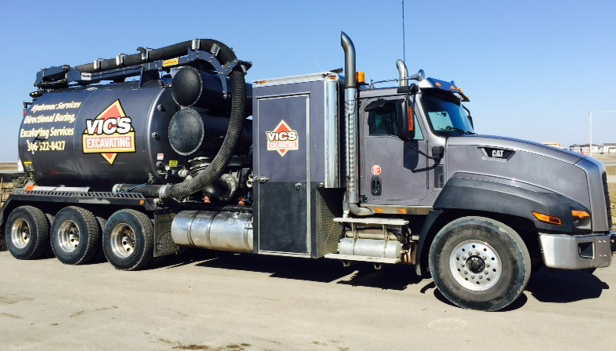 We offer complete residential and commercial sewer contracting services. This includes new sewer installation, sewer inspections, sewer line replacement, and sewer repairs. We specialize in trenchless sewer replacement which is perfect for hard to reach locations and reduces the need for additional excavation. This can prevent the need to disrupt driveways, landscaping, or even interior flooring. If you experience water main breaks, cracked pipes or burst pipes we provide the appropriate repair services. If you have an emergency pipe break be sure to contact us as soon as possible. 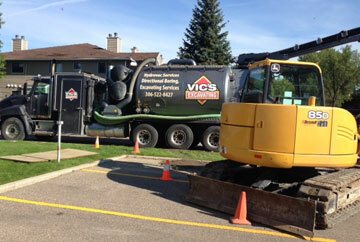 We also provide new water line service installation for new construction or renovation projects in and around Regina. We specialize in CCTV inspections which utilizes mini cameras to view hard to reach locations. When there is an unknown problem, we are able to utilize our cameras to provide drain, sewer and pipeline video inspection. We encourage our customers who need sewer line replacements to install main line backwater valves in their basements. This will save you from future backups in your basement. 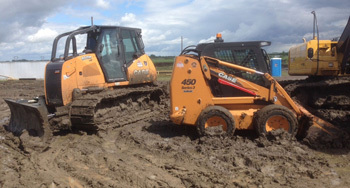 Vic’s Excavating Sewer & Water also installs sump pumps and pits for complete flood proofing in any residential, commercial or industrial application.